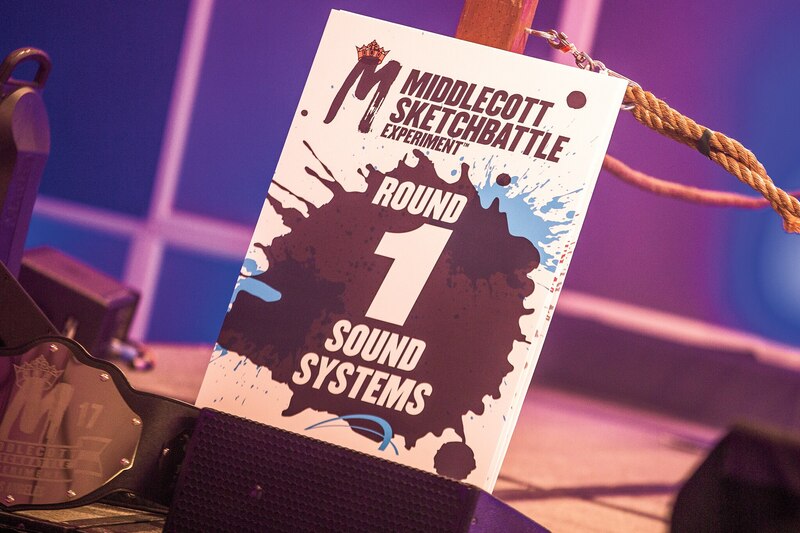 Founded by a British-raised Texan who fell in love with the gritty streets and cutting-edge design of Detroit, the Middlecott Sketchbattle Experiment is billed as the Fight Club of Design. 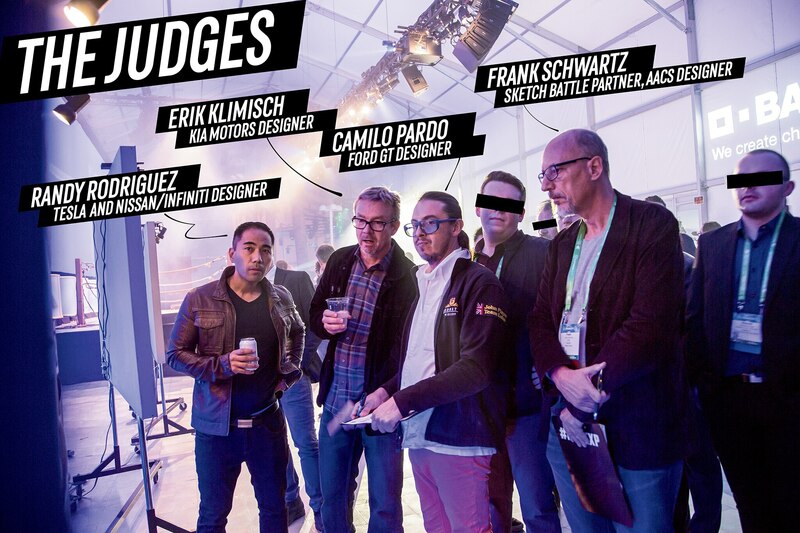 But instead of a slumlord’s palace filled with lost men making soap, the Sketchbattle is a once-underground nexus of the future of automotive design. And it’s a party. 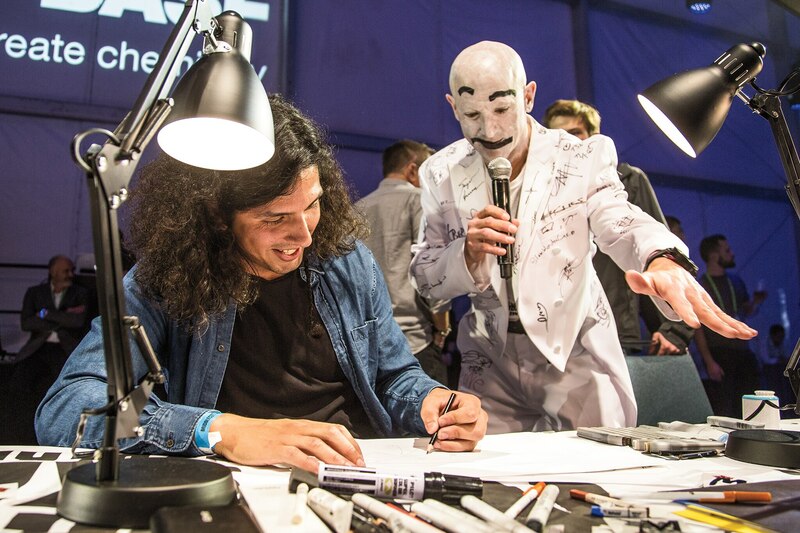 Walk through the door of any of the Sketchbattle’s itinerant locations in Detroit, Las Vegas, or Los Angeles, and you’re greeted by thumping music, a cash bar, and Satori Circus, a Detroit-based performance artist who blurs the line between emcee and prankster clown. Chances are good you’ll also encounter some vintage sheetmetal to serve as inspiration and atmosphere for the design-off to come. Ding! Ding! Ding! Fans and party attendees gather around the long table to watch the magic happen. The next thing you’ll notice is the boxing-style ring, ropes and all. Behind it, there’s a Jumbotron with con-testant names and countries or cities of origin, and keep-ing with the theme, there are weights. Each designer is called to the ring to start the battle, some engaging with the premise enough to jog out like a prizefighter. 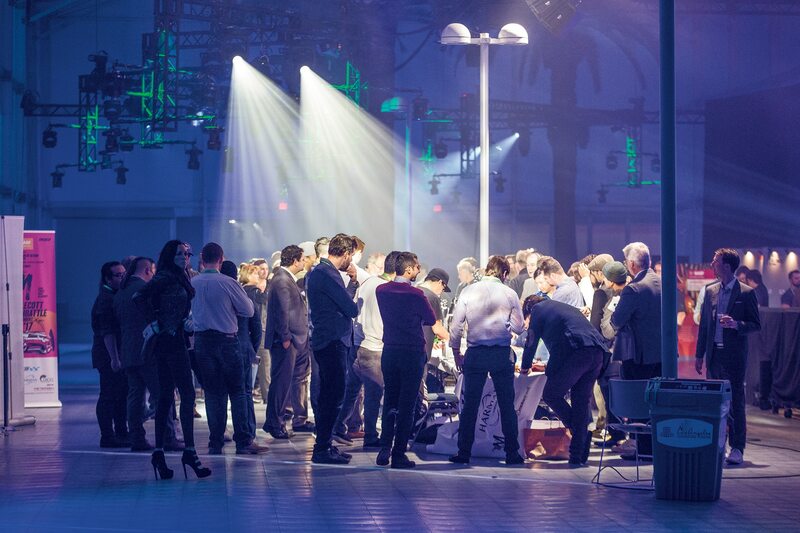 If it all seems a bit over the top, just wait for the main event: a 50-foot table lined with designers, professionals and students alike, vying for an oversize $2,500 check and the glory—and potential job offers—that come with winning the contest. 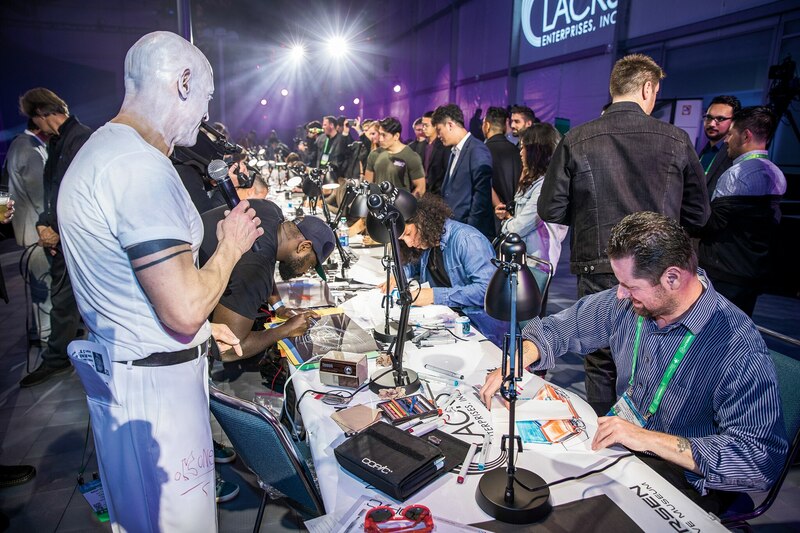 Over four hours they battle it out, elimination bracket style, to see who has the chops to meet the criteria for each round and wow the judges. Sketchbattle is the creation of Brook Middlecott Banham, who spent the early part of his career designing shoes. But his passion lies with penning cars. He came to Detroit in 2010 to get his master’s degree in transportation design from the College for Creative Studies. 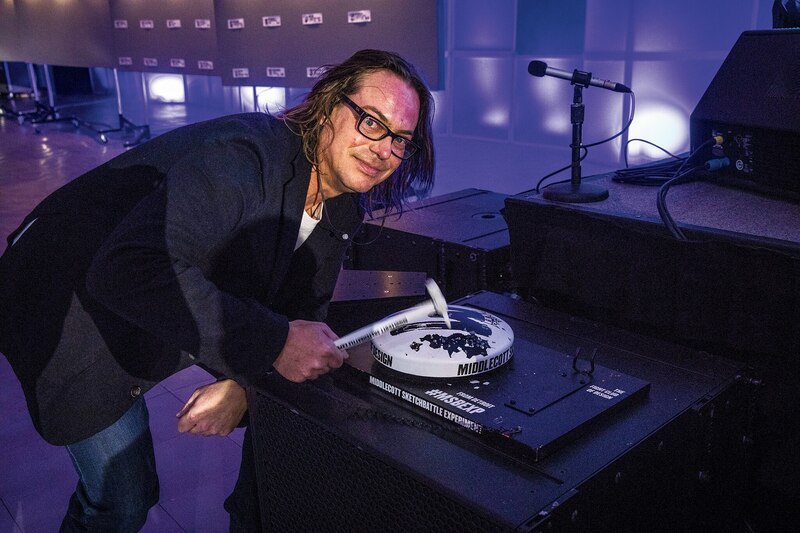 Sensing Detroit’s vibrancy as a design center, he and his wife, Judith, decided to stay and eventually founded their own firm, Middlecott Design, in 2012. The Experiment, which was originally started as a way for the Banhams to promote their company, has become a full-blown thing of its own in its roughly five years of existence. Starting and ending with the clang of a ringside bell, contestants are given 25 minutes to create a sketch. A design prompt for each round defines the goal. It can vary wildly, from sound systems to pickup trucks to wheels—just about anything you can imagine in the field of automotive design. The battlers get the prompts in advance to better allow them to create new and innovative designs in the allotted 25-minute window. 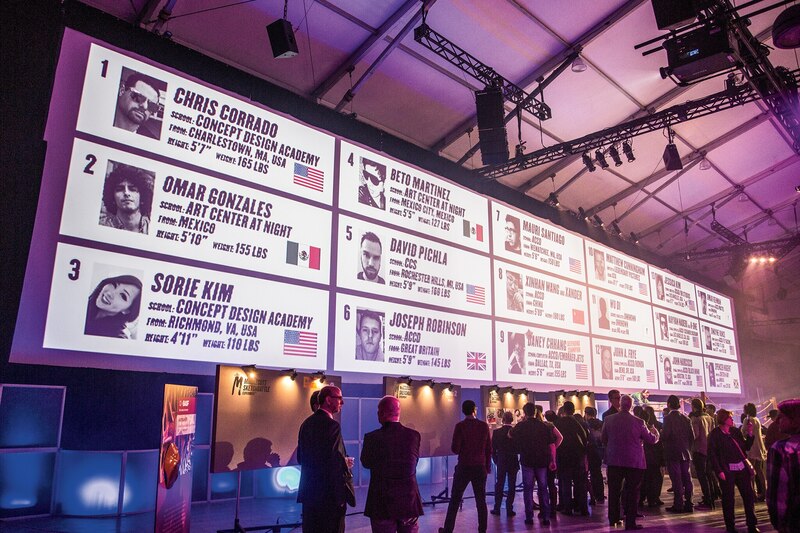 The time limit adds a great deal of pressure, and it also presents difficulty for the judges, who are themselves highly accomplished and recognized automotive designers. 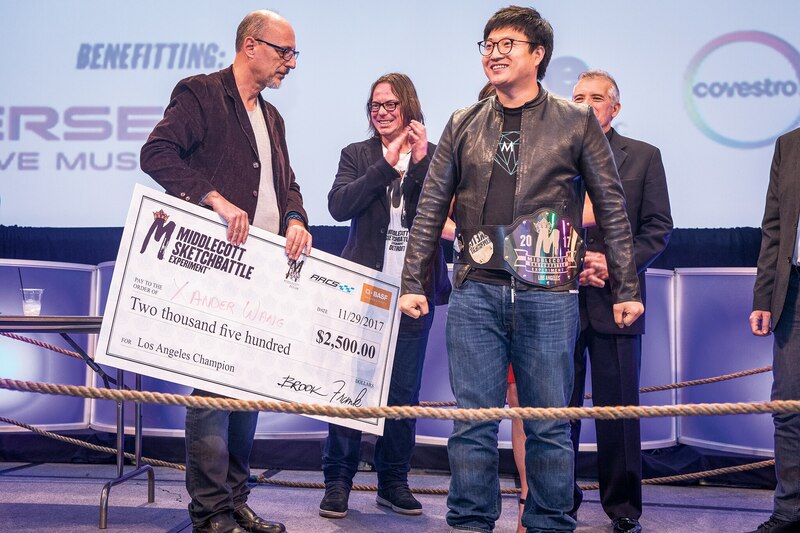 At the 2017 Los Angeles Auto Show edition of the Middlecott Sketchbattle Experiment, the judges were Erik Klimisch, design manager for Kia Motors and former design instructor at Detroit’s College for Creative Studies, his alma mater; Randy Rodriguez, creative manager of design and styling at Tesla (where he led the team that designed the new Tesla semi truck) and formerly project lead designer for Nissan/Infiniti and freelance designer for ICON Aircraft; and Camilo Pardo, design magnate and the man behind the second-generation Ford GT. 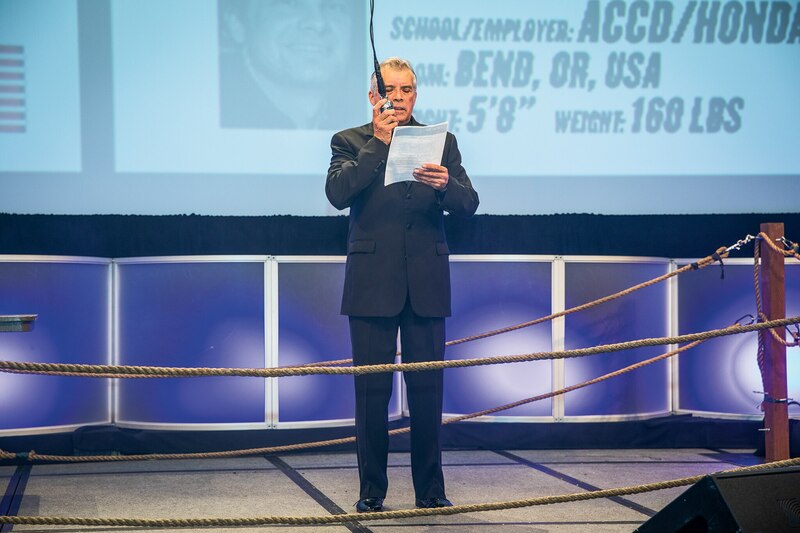 A ring announcer, cards for each round’s theme, and a real ringside bell being rung by Sketchbattle founder Brook Middlecott Banham give legs to the Fight Club theme. Satori Circus brings his own sideshow to the event, injecting a touch of friendly madness into the frenzied sketching. Despite the 25-minute time limit, great design is evident in abundance. Sure, there are the odd sketches that look out of place or amateurish, but by and large you’ll find stunning designs executed with masterful attention to detail—cars you wish existed and would love to drive. 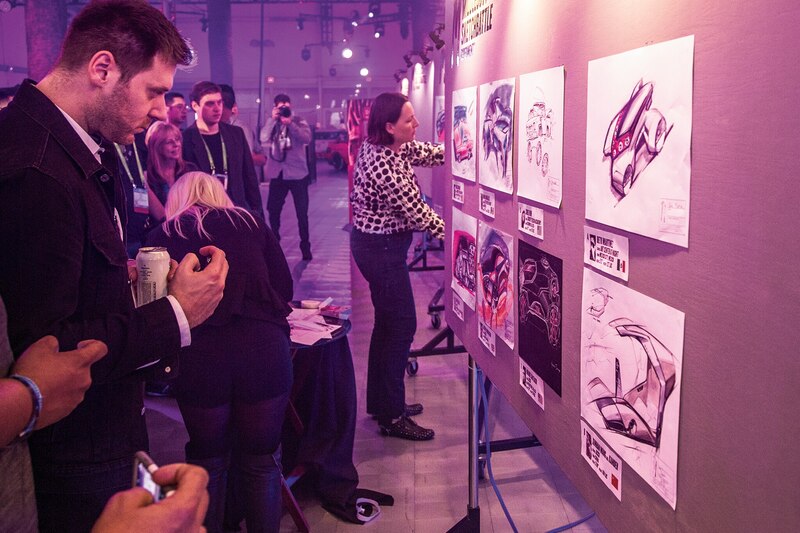 Even with the Fight Club-meets-nightclub atmosphere, there’s an air of reverence for the creativity and skill on display, a sense you’re getting an inside glimpse into the future of transportation design. 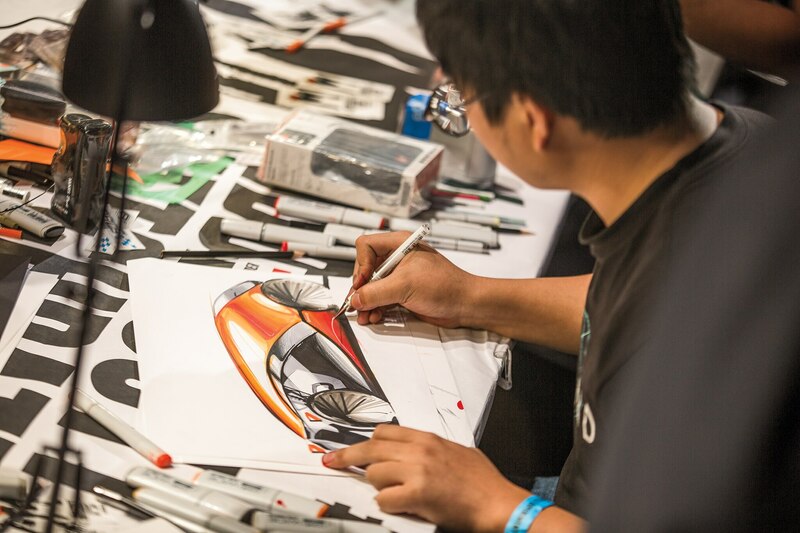 There’s a good chance that at least one of the contestants in any given Sketchbattle will someday pen a car you’ll buy, and that’s before you count the pros who’ve already penned several—possibly even your own. The contestants’ handiwork is put on display, above, after each round for judging, and for viewing by the attendees. Xander Wang collects his winnings. Seeing the talent on display, especially from the young and upcoming student designers, Klimisch and Rodriguez’s optimism seems justified. Maybe there’s even a chance that autonomy could free designers from some of the constraints placed on today’s cars. Imagine what a car could look like if there was no possibility it would crash. It could be anything. Perhaps that’s wishful thinking. Maybe we’re riding a dinosaur to a cave man’s banquet. But from ringside at the Middlecott Sketchbattle, it feels more like we’re riding a phoenix to war.